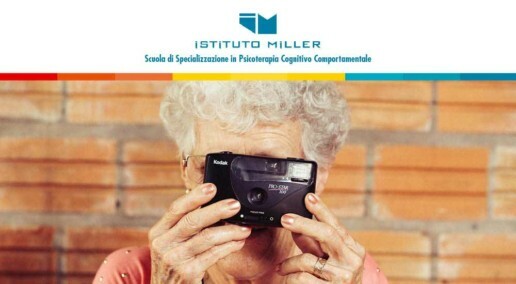 The Miller Institute - School of Specialization in Cognitive Behavioral Psychotherapy presents the news for the recovery of patients in the neurological area at the San Raffaele Hospital in Milan, including our VRRS system used for facial neuralgia. One of the diseases treated with VRRS is trigeminal neuralgia, a facial neuralgia. This disorder causes intense short but recurrent pains, almost comparable to electric shocks that can last from two seconds to two minutes. Pain can start from various parts of the face and follows the course of the nerve. Here the link to the entire article. The Khymeia HandBox system has been chosen among the 60 exellence projects co-financed by the Structural Funds and Investment European Union at the center of the communication campaign developed by the Agency for National Cohesion and the European Commission Representation in Italy in collaboration with all the Managing Authorities of the National and Regional Operational Programs. The initiative is part of the celebrations for the 60th anniversary of the Treaties of Rome. Inserted by the Regional Health Department in the "Telestroke Network", which allows to perform post-stroke rehabilitation at a distance, the Sant'Antonio Abate Hospital in Trapani. It is an innovative system installed at the Pulejo hospital in Messina that will allow patients to be followed remotely and in real time in four Sicilian nosocomas, including the Trapani area. Post stroke rehabilitation takes place thanks to the "Telestroke Network". This is an innovative system installed at the Irccs Bonino Pulejo that will allow to follow patients affected by stroke and in real time remotely in the spoke offices of the Cannizzaro hospital in Catania, Sant'Elia di Caltanissetta, Villa Sofia in Palermo and of the Sant'Antonio di Trapani. The magazine "Take Care" tells about the use of our Neurowave system at the Habilita Nursing Home from 2010 until today. Habilita has dedicated its mission to the rehabilitation of neurological diseases and for this reason has been created the operative unit of Neurorehabilitation, composed of a team led by the Primary Dr. Michelangelo Bartolo. Even today the Neurowave are used daily, in synergy with other robotic devices in the rehabilitation of patients with GraviCelebro Acquired lesions. 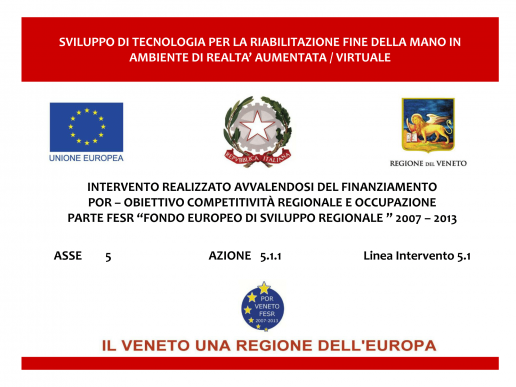 On June 26th 2015 the project "Development of technology for the rehabilitation end of the hand in augmented / virtual reality environments" - CRO POR FESR 2007-2013 Action 5.1.1 " Interregional contributions for the financing of industrial research and experimental development projects" is concluded. On 31st August 2014 the project "Modularity for the sensory-motor control: implications of muscle synergies for the motor recovery of post-stroke patients and development of new technologies for rehabilitation" is concluded. Khymeia is present with the presentation of its VRRS system in Congress - Regional Operational Program for Regional Competitiveness and Employment - FESR part, 2007-2013 - Axis 1 Action 1.1.3 "Contributions for the use of qualified facilities by companies for research activity".